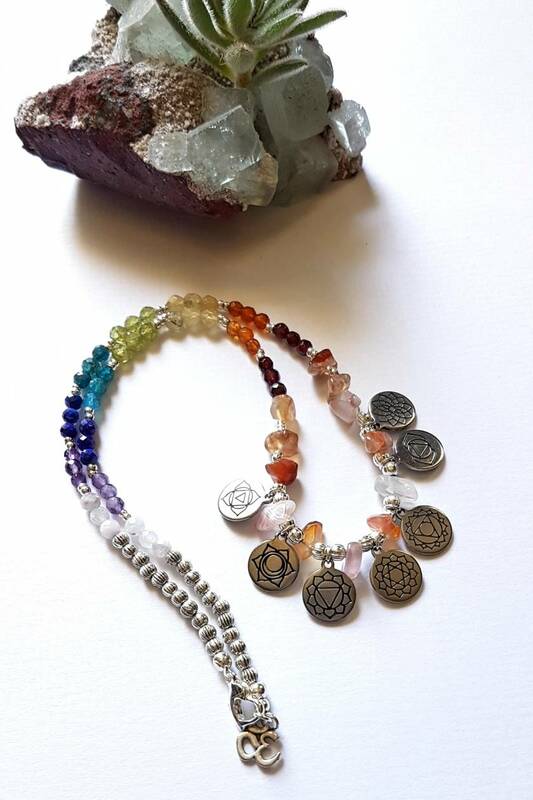 This uniqie one of a kind chakra neclace is made up of 8 different semi precious gemstones. 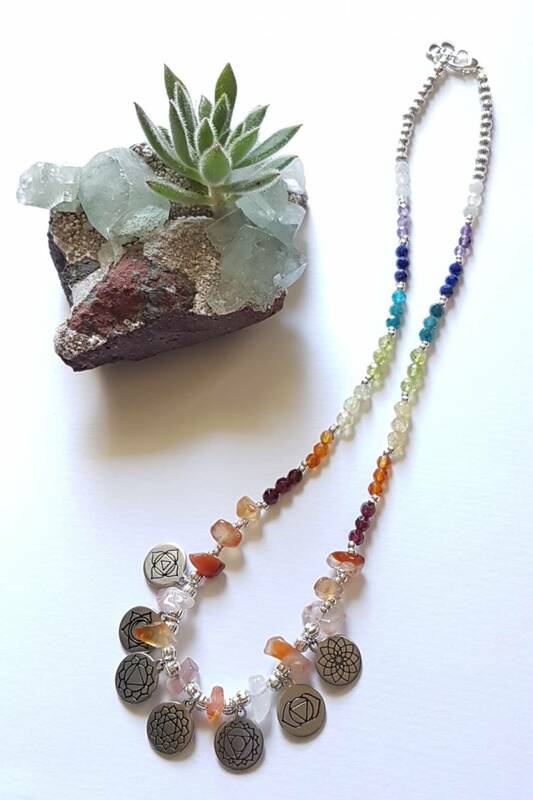 Garnet, carnelian, mali yellow garnet, peridot, blue apatite, lapiz lazuli, amethyst and moonstone to represent all the 7 chakras and your spirit chakra. 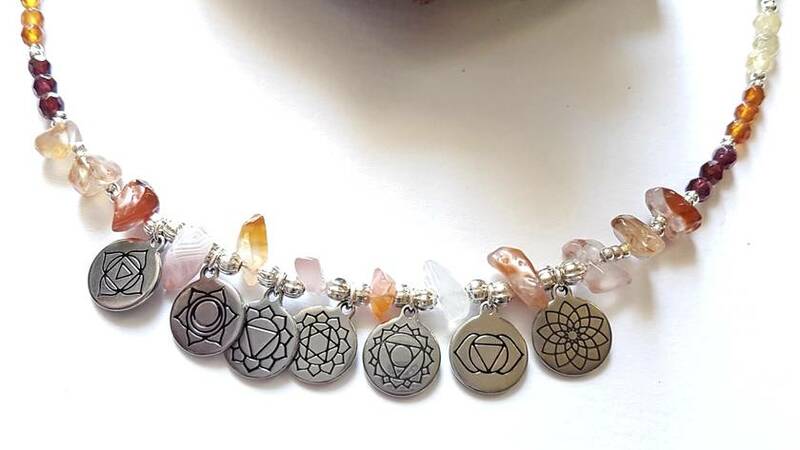 The stainless steel charms are etched with the chakra symbol. 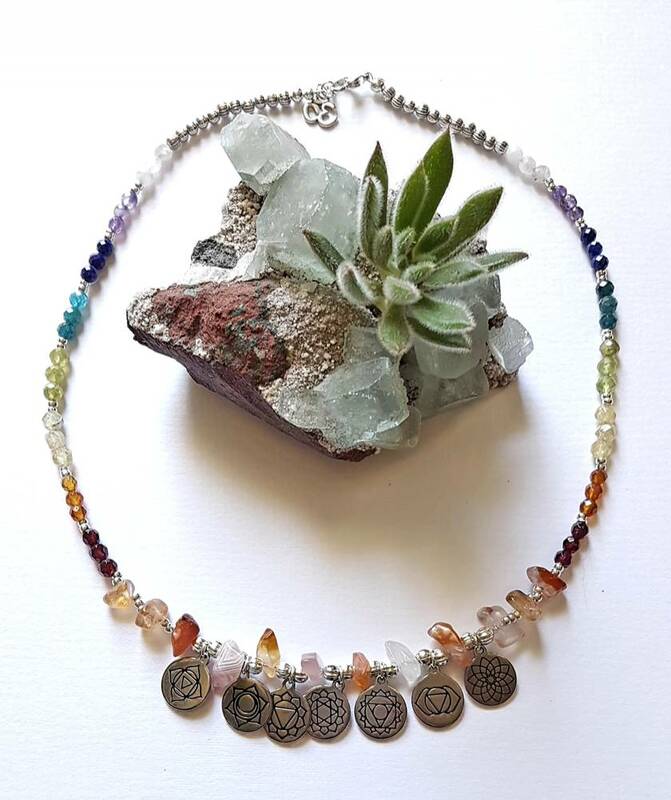 All my items are made in an environment of peace and harmony, each strand is lovingly created by me and infused with positive energies.